Discussion in 'MacBook Pro' started by Starfyre, Oct 18, 2013. Would you accept a delay to November 11th if Apple could get an IGZO display in? Yes, I would be willing to accept a delay to Nov 11 if it means the rMBP gets an IGZO display! No, I've waited too long, make the Haswell rMBP available on Oct 24 or 25. without IGZO. - Not only with machined aluminum, but also carbon fiber. Everything seems to be great with Dell.... until you see "Estimated Ship Date: 11 Nov 2013". Apple plans to ready the Haswell rMBPs for shipment on October 24th or 25th. One could praise the shorter timeline, but there are a number of believers who think Apple couldn't possibly get the IGZO display in because of manufacturing shortages or many other reasons (even though Dell, who statistically has sold more back to school laptops than Apple this year, has just launched a product today with an IGZO display available albeit the mid-November shipping date). So the question is, would you be willing to wait for the new Haswell Retina Macbook Pro to be available on November 11th if it meant that they will get the higher-resolution-battery-saving IGZO display in? Or would you rather just get your hands on a Haswell Retina Macbook Pro as soon as possible and prefer Apple to make them available for shipment on October 24th or 25th? Not only with machined aluminum, but also carbon fiber. The review you linked is for the old model. Not gonna lie.. that's a great looking laptop. Pssst, Dell - 17", please. Why would you hold out on waiting? The only difference between the two displays is 16:9 and 16:10..
while i respect your right to post a poll in general, the premise of this poll is terrible. not only are dell and apple two different OS, people don't just choose one or the other on a whim. but we're talking about a dell. a freaking dell. give me a break. it disgusts me that people think dells are built great. i've used dells at work for the past 10 years and none of them are good. It's less than 1 month away. Wait for it if that's what you truly want. but.... the dell is a windows machine. case closed. There only way the Dell beats even the current rMBP is on spec sheets. Use one and you'll come running back to Apple. But... if it meant just another two to three week wait for IGZO on the Haswell rMBP, I'd wait. Been waiting since well before WWDC so what's another few weeks? It's looking impressive. This seems to be a laptop worth comparing to the 15-inch retina MacBook Pro. However, I would like to see one in person before I come to any conclusion. I'd like to see if the IGZO display is as impressive as the one in the MacBook Pro, or if it has any of the issues previously reported with such screens (such as washed-out colors). In addition, I would like to test the keyboard (some Dell keyboards looked less than stellar to me in the past). And I also would like to see if battery life holds up to what Dell is claiming. Yes, it could be a MacBook Pro beater. Or it could be not. Let's see. I think you're biased. You haven't even seen the Dell laptop. How can you come to this conclusion before even seeing it? Well, if it's your personal preference, then you're tied to Apple forever. But the mere fact that a laptop runs Windows doesn't make it automatically inferior to a Mac laptop. Agreed 100%. It looks like Dell has finally stepped it up. This could be the real direct competitor to the rMBP. This new XPS actually looks like a solid Machine. The price is also in the right range(It's just as expensive as any high-end Macbook) which means the build quality should be up there. Well, let's wait for when the machine is actually released. We still have no idea what the actuall specs are. They still might have some crappy GPU (Dell simply says 'nvidia graphics', which can be anything) or downclocked CPUs in there. I voted yes... I figure even is the new rMBPs with a conventional IPS display will hit the 10-12 hour range, they will still pull down below 6-7 if using a heavy workload. An extra few hours might still be necessary for a full day without charger experience. Also if possible a res bump to 3360 x 2100 (a native 'desktop space' of 1680x1050) would be most welcome, as that would be my default work mode 80% of the time and it would be nice to not have to scale. 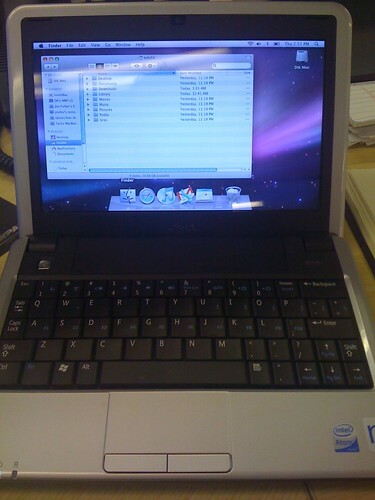 Interesting aside, I don't keep up with PCs and one of my interns got a 13" variant of this Dell. I was surprised at how solid the machine is and love the soft-touch rubberized thing going on. That said doing without OSX is murder for a new Rails dev when that industry/toolchain is primarily using OSX. I guess more and more laptops like this will be released from now on. Apple had the head start, but the others are catching up, as it should happen in the tech world. Now, let's put our hands in the real thing to see how it feels like. Reliability. Is it worth it? Look at Dell's design. They merely copied Apple, up to the power button (cMBP). It may look like a solid laptop, but designs does not mean performance and quality. I owned a Dell XPS 15 and quickly sold it and got a cMBP (rMBP now). Dell's keyboard feels plastic and lightweight. It has a weird spring to it. The motherboard crapped out due to heating issues, as well as the power adapter. The battery life was not as advertised. Check reviews on XPS15 heating issues. If they couldn't resolve it on a huge laptop, what makes you think they resolved it on an extremely thin one? Will the battery last as long through many cycles? It's like comparing a fully loaded Kia with advertised super spec features vs a Benz. Remember that Dell is a PC manufacturer and Apple focuses on various other things. It surprises me it took Dell this long. Apple has the tendency to buy out the supplies of everything. They invested tons of money into Sharp themselves. I wouldn't be surprised that Apple owns a majority of the IGZO displays, which is why Dell has a shortage. Yes, as long as there is an announcement on 10/22. Been in the dark for long enough!!! im not 'locked' into apple. i have currently on my desktop OS X and ubuntu on my current laptop, after years of windows, so i kinda tried the major options, and i think OS X beats the rest by far. so this is kinda 'by choice'. you are correct though, running windows doesnt make a machine inferior. to the average user, it doesnt even matter what OS the machine runs, if they use some docu processing via google docs, chrome browser, and watching movies (via VLC or any other software) - its just about the same experience. I'm always curious why everyone feels Apple constantly looks over their shoulder in abject fear at Dell's (and others) offerings. Maybe they should but they don't. It's why the Mercedes dealer doesn't care what "Harry's Discount Motors" is doing down the street. obviously, this is a really uncommon case, which requires effort and maintenance, which was excluded from my statement there's also a XPS for developers with ubuntu on it. my point remains. Spec wise Apple has always been beaten. I've yet to see anything trump the complete overall package that they have consistently been able to provide though. The upcoming Dell does look very nice indeed and you have to hand it to them for being so proficient at copying the blueprint Apple provided. Until proven otherwise I'm still highly skeptical of the overall build quality/durability of Dell, trackpad, carbon fiber, and battery life claims. There's a lot of unknowns in how the new IGZO technology will work and whether the transition will be seamless. The combination of touchscreen and Windows aren't for me but I don't count that against them. I do hope that both of the new XPS models succeed and force Apple to up their game even more and at a faster rate than they would otherwise prefer. Competition has always been healthy for innovation. I'd wait a few more weeks for the IGZO screen in the rMBP. This will be my first mac so I don't have any firsthand feedback about the performance of macs. I've just heard great things and going with that. Just like you, I've been waiting since February so if another 3 weeks adds something phenomenal, I'll reluctantly accept. But honestly, I'm tired of waiting. Actually, people choose one over the other on a whim. Not everyone cares about the latest bells and whistles. Not everyone cares for a time capsule, time machine, making youtube videos or posting 1,000 pics of the same image. Truth be told, the majority of home users/wannabe professional home users(youtube video editors) are the ones with the most scaled-up machines. They're just a notch below the gaming addicts. If you round up users who use their machines for real-world productive work versus the gamers, I bet the gamers have more expensive machines. Just because it's a windows machine does not mean it's crap. Dells are built well above most PCs. They may/may not be built as well as macs, but implying they're garbage is a stretch. The good thing about Apple today is they've done a better job making their machines usable in professional, non-creative/advertising, environments. Had they not done this, organizations will still be 100% pcs. not to say that you don't know what you're talking about, but if a consumer chooses between a windows or a mac on a whim, that consumer is someone i don't want to know. and sorry, dells are garbage. it's not a stretch. Here's another thing we should keep in mind - not everyone can afford a 'cheap' $1,000 system. The cheapest offer from apple is an 11" MBA at $999. To someone on a limited budget, paying that for a tiny screen without a cd player (not like most people need it) is out of the question. There are more affordable options when it comes to PCs. How long they will last and the performance is an entirely different matter. Some people just can't afford macs.